Ventana Vineyards have been producing quality wines for over 30 years, with their most recent bottling of Ventana Pinot Grigio gaining praise from consumers and connoisseurs throughout the world. The producers attribute the success of the vintage to quality grapes and the wine's unique flavor. Winemakers use the same white wine grape, which is a mutation of the red Pinot Noir grape, to make both Pinot Grigio and Pinot Gris, with the former being produced in Italy and the latter in France. The word pinot means pinecone in French and refers to the way the grapes grow in tightly compacted bunches that resemble pinecones. Gris translates in French to gray and describes the greyish-blue color of the grapes used in the wine production. In general, Pinot Gris tends to be sweeter than Pinot Grigio, and winemakers select whether they call their wines Pinot Grigio or Pinot Gris based whether they taste more like the sweeter French version or the drier Italian variety. Ventana Vineyard was one of the first vineyards in the Monterey County when it started producing Chardonnay back in the 1970s. It has the distinction of being the most award-winning winery in the United States. Unlike the nearby Napa and Sonoma regions, experts once did not consider Monterey a prime wine grape producing area, a perception that has changed dramatically over the past few decades. Ventana's highly acclaimed wines have been instrumental in establishing the Monterey region as one of California's great wine production areas. Unlike many wineries that get their monikers from family surnames, Ventana was named in honor of the breathtaking Ventana Wilderness area that forms one of the borders of Monterey County, California. Besides producing award-winning wines, Ventana Vineyards sells grapes to winemakers throughout the country and around the world. A small group of local growers who have lived, worked and raised families in the Monterey area for generations owns the vineyards, and they are proud to raise grapes sought after by famous winemakers worldwide. A 2009 vintage, Ventana Pinot Grigio is a light golden color with an exceptional nose of roasted almonds, guava and pear. Its tastes mingle the flavors of honeysuckle and pear and the finish is brightly crisp with a hint of guava. One reviewer found the varietal's taste to be slightly toffee-flavored and remarked that it was one of the few wines that went well with sushi. The Ventana Pinot Grigio also gained high marks by reviewers for being a worthy rival of the Santa Margherita Pinot Grigio, the Italian standard by which other Pinot Grigio wines are judged. 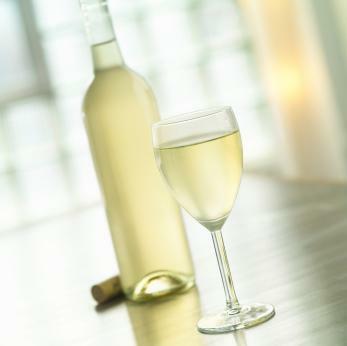 The Ventana winery recommends drinking its Pinot Grigio by the end of 2011 to reap the best of the wine's qualities. The Arroyo Seco AVA is an American Viticultural Area in Monterey County internationally known as one of the best areas in California to grow Chardonnay grapes. Ventana capitalized on the climate and soil in the region, a mixture of cool breezes and hot days that keep the gravelly earth at a perfect grape growing temperature. One of its first and most well received wines was Chardonnay, which critics praised for its complex layering, balance and distinct tropical flavors enhanced by a whisper of oak. Ventana has also produced award-winning Riesling and Gewürztraminer wines. Since Pinot Grigio wine tends to be fairly acidic, it pairs better with delicate tastes rather than foods that are tomato based or contain citrus flavors. Garlic and herbs like chives, thyme and rosemary are good companions. Light pastas, grilled or roasted chicken and lightly seasoned pork chops compliment Pinot Grigio, as do fresh tuna, shrimp and halibut. If served with appetizers, Gruyere, goat, Parmesan and brie cheeses are good pairing choices. Ventana Vineyards is poised to keep producing prize-winning wines for many years. Periodically check wine review sites and wine magazines for their latest offerings in Pinot Grigios as well as other varietals.